Mirror Method dog training, also known as the Hungarian clicker dog training method, is a training technique that was originated in Budapest, Hungary by The Promotion Group of Népsziget. Find out why it's quickly gaining popularity around the world. The Promotion Group of Népsziget was started in 2007 by 12 people who met and became friends at a dog training school. The group eventually decided that there had to be a better way of training dogs and therefore initiated the basis of Mirror Method training. Today, the group has 25 active members and promotes their training techniques at various dog shows and pet-related events. The Promotion Group of Népsziget is passionate about teaching children the importance of being responsible for their dogs and passing on the values that go hand-in-hand with owning a dog. What Is Mirror Method Dog Training? Mirror Method training incorporates positive reinforcement through the use of a clicking device. It is called the "Mirror Method" because the trainer teaches the dog by encouraging it to mimic his or her actions. Since dogs naturally want to please their leaders, it is normal behavior for them to want to mimic the emotions and behaviors of their owners. For example, if the dog's owner sits on the ground, the dog will usually sit down as well because it is a normal habit for dogs to want to mirror their owners. Similarly, if the dog's owner is experiencing stress and acting out, his dog will also behave outside the realm of his usual actions. Simply put, dogs want to act just like their owners. It is a proven fact that how a dog is trained has a direct impact on its personality as it matures. Dog training techniques that involve aggression, force or negativity only result in dogs with aggressive tendencies. The Mirror Method completely eliminates any negative emotion from the training process and uses only techniques that are designed to increase the dog's natural positive demeanor. Mirror Method training, when done properly, can yield some truly impressive results. However, simply clicking and teaching a dog to mimic your actions isn't all that goes into this technique. In order for the training technique to be successful, the dog must be included in all aspects of the owner's life, which means more than simply taking the dog on a daily walk.Socialization with other dogs is also an important component of the training since dogs are pack animals and capable of learning from other dogs. Allowing your dog as much freedom as he can handle allows him to make the best use of his natural instincts. Dogs are natural hunters, so they should be encouraged to hunt, defend and retrieve through incorporating these instincts into their playtime and training sequences. Mirror Method dog training enforces the dog's natural instincts since many of the techniques involve some sort of fetch and retrieve scenario that's bolstered by the clicking mechanism. 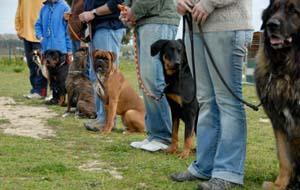 This form of training also serves to increase the emotional bond between the dog and its owner. Since the explosion of viewers on YouTube, there has been tremendous interest in the Mirror Method of dog training around the world. As of yet, not many professional dog trainers have actually implemented the technique. As the results continue to show up online in funny, creative videos, odds are more and more trainers will soon adopt the method for their own clients.